28/01/2012: Nvidia to create reference devices to sell cheap? 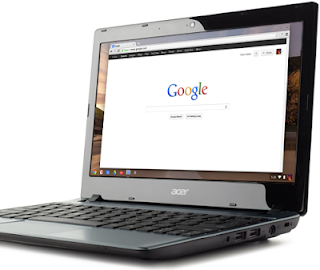 Acer on Chromebooks, European Commissions new projects! Plus much, much more! Nvidia to develop reference designs to sell to regional manufacturers? Nvidia are a company famous for producing GPUs for computers and more recently they've been starting to get their Tegra line of processors into mobile devices. Last year Tegra 3 chipsets ended up in a lot of tablets and a couple of phones, but if a rumour from Mobile Review’s Eldar Murtazin, is to be believed then Nvidia has grander plans for this year, it could conceivably offer the company a huge boost in market presence. The logical assumption here would be to expect Nvidia to produce their own range of phones and tablets, just like they have chosen to do with Project Shield. Instead, the rumours run that Nvidia will create reference designs and then see if contract manufacturers would be interested in manufacturing devices to sell within their own brand lineup. The main target here is obviously smaller players who target their own localities. Companies such as Think Fly and Wexler from Russia and Micromax and Lava from India are the sort of companies which could be expected to buy into a deal like this, if it comes to fruition. Naturally, if Nvidia can design and manufacturer the products then they can all but guarantee a good user experience and ensure that the device is of a good quality. Regional brands will give Nvidia the economies of scale that they need to make a venture like this viable. If the rumours turn out to be correct then we can expect to see this become a reality towards to end of Q2 this year and we can expect to see lots of inexpensive but good quality tablets popping up soon after! To be honest we'd love to see something like this, we'd buy one as long as they're cheap and we know what we can expect from them! Acer sales suggest Chrome laptops are here to stay! Acer President, Jim Wong, recently revealed, in an interview with Bloomberg, that Chrome-based laptops are here to stay! It also seems that Google's marketing push on the simplicity of the operating system may have had a bit of an impact on sales too. Mr Wong announced that his company sales in America consist of somewhere between 5 and 10 percent of Acer’s U.S. sales have been Chromebooks since they were unleashed in November! Because the sales are looking 'sustainable' if they stay around that figure, the company is looking at offering their Chromebooks in a wider variety of developed markets! "Windows 8 itself is still not successful.. The whole market didn’t come back to growth after the Windows 8 launch, that’s a simple way to judge if it is successful or not." This is probably down to the 28 percent drop in Q4 shipments from the same time last year. If you're interested in picking up a Chromebook then you can get the Acer one pictured above here! The European Commission has announce a $2.5 billion project! That huge budget will be split between the "Human Brain Project" and research into using Graphene as a replacement for silicon. The Human Brain Project aims to create a detailed map of the human brain! Hopefully this will give people an insight into how mental illnesses work and ways to enhance treatments. The Graphene research will focus on using the substance to partly or completely replace silicon in semiconductors. “We are reviewing the policy and have conducted some surveys and held discussions with other ministries on the possibility of opening up the game console market... However, since the ban was issued by seven ministries more than a decade ago, we will need approval from all parties to lift it.” Via Reuters. ZTE has announced their new V81 Android tablet. It's an 8″ device that will offer a 1,024×768p resolution screen, a dual-core 1.4 GHz processor, 1 GB of RAM, 4 GB of built-internal storage, a microSD card slot, as well as 0.3 and 2 MP cameras on the front and rear respectively. You'll also get the added benefits of 21 Mbps HSPA data connections, Wi-Fi, Bluetooth, GPS, HDMI out, and a 3,700 mAh battery! The whole thing is running Android 4.1 and we're not sure if or when it'll be coming to anywhere outside of China. iOS 6.1 is rolling out at the moment! Check your device for updates! Forbes posted a report from a UK-based research firm who showed off the 'active users' for all the social networks. Apparently Google+ has a higher percentage of active users that Twitter, YouTube and is only just behind Facebook. These sort of stats are normally very unreliable, but it's interesting nonetheless! Ubuntu's new smartphone based operating system will reportedly not be launching with an app store! The storefront will arrive at some point in the future, but Canonical hopes to target basic users initially and then add support for the extra goodies later on. We're not sure that this is necessarily a bad thing, but it definitely removes it from the realm of a mass appeal, if only initially! There have been rumours of a 128GB iPad coming if or when Apple refresh the iPad line-up in March! Would you be interested in this sort of storage option, even if it'll cost you $300 more than the 16GB versions! Nokia have showed off their new Music+ service today. The new offering essentially goes toe-to-toe with Spotify. Interestingly, you'll have the option to download entire playlists for your offline audio pleasure, but you are limited to 'four mixes', which essentially means four playlists. There's a host of other perks too which you can check out on Nokia's official blog! If you're interested then the service will cost you €3.99 a month and we expect you can exchange that Euro sign for a £ or $ sign depending on where you live, but that's not confirmed yet! Microsoft's Surface Pro will come with 128GB of built in storage if you opt for the more expensive model, but according to reports from today a whopping 45GB of that will be taken up by the OS! This will leave you with 83GB left for you files. More concerning is that if this is correct then the 64GB model will only have 19GB free when you receive it! RIM is preparing to drop the minimum price of applications in their app stores as BB10 launch date nears! The Canadians have confirmed that the lowest pricing tier in the UK will drop from £1 to 75p and changes to the costs in Euros will vary from country to country, but in France the lowest tier is now .99 euros, but that will end up at .89 euros when the changes are implemented! Hurray cheap(er) apps! And finally, tomorrow (Jan. 29th) is the day that Office 365 and Office 2013 will be arriving! The tweet and picture below confirm you can get both tomorrow! Will it be worth upgrading from Office 2007 or 2010, probably not, but we'll see!